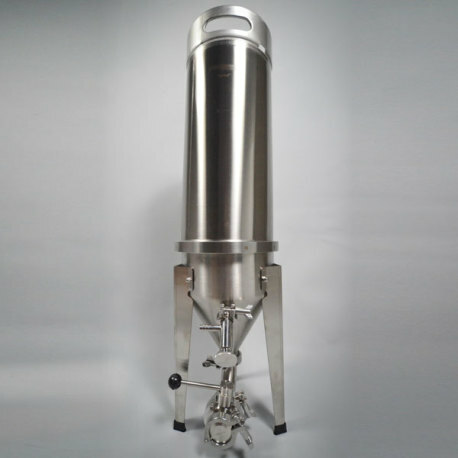 A full conical fermenter that utilizes a cornelius keg design for fermentation, carbonating and serving, from the minds at Blichmann Engineering! 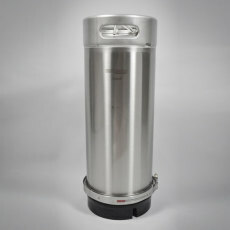 Introducing the Cornical, a fermentation system that combines the best features of a professional grade stainless steel conical fermenter with an easy-to-use, compact cornelius keg! 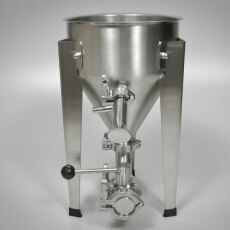 With this fermentation system, you can ferment in the cornical, take samples with the included racking arm and attached sampling port, check volume of the cornical, and dump or harvest yeast. Once the beer is fermented and yeast removed, you can then proceed to carbonating your beer in the same vessel. No racking required! 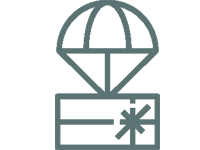 This complete system comes with the modular keg and the fermentation kit, so you have all the fittings and tubing you need to ferment, carbonate and serve beer right out of the box! 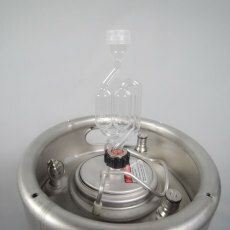 If you would like to use the fermentation kit on subsequent batches while serving the one batch of beer from the keg, you can buy additional Cornical kegs. Get as many as you need to keep the beer fermenting and flowing. The fermentation kit is also sold separately, if needed. 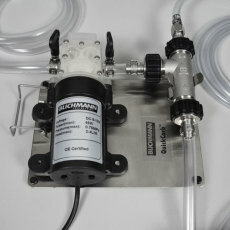 Do it all like the pros do with the Cornical from Blichmann Engineering! Ferment, carbonate and serve beer all in one vessel! 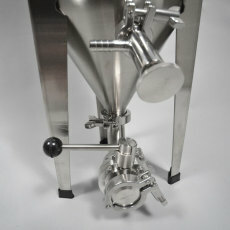 Butterfly dump valve allows you to dump trub and harvest yeast for use in subsequent beers! Once fermentation is complete and yeast is dumped, simply change out lid hatches, invert, and attach keg bottom. It's that simple! Carbonate and serve just like any ball lock keg without the hassle of racking! 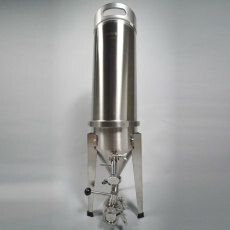 Can get additional Cornical keg bodies for fermenting additional batches while still serving beer! Can ferment up to 5 gallons of beer and 6 gallons of wine. 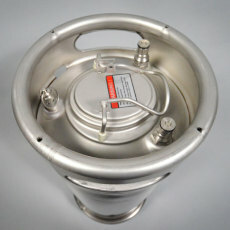 Keg bottom, v-band clamp for keg bottom, and keg lid hatch. Height to the top of the Chime: 38.5 in. Height to the top of the Blowoff Kit: 40 in. Height to the top of the Airlock: 43.5 in. Blichmann Cornical is a Winner! I have been fermenting in corny kegs for years now because of the ease of pushing the beer with CO2 from primary to secondary corny keg (if needed) then to serving keg. To me the simplest way to do it without introducing oxygen. But having to deal with cleaning and santizing 3 kegs for 1 keg of beer was a lot of work! Not anymore!! I have used the Cornical for two batches and the ease of having a blowoff tube corny keg lid, the butterfly valve to dump, having a racking arm for sampling AND going from start to finish in the same keg is a miracle! 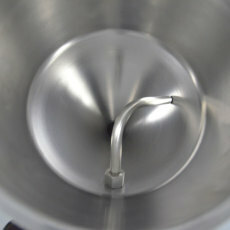 It is so easy to switch from conical mode to keg mode. 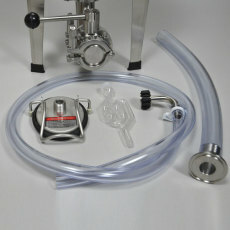 I give this invention two huge thumbs up if you brew 5 gallons or less at a time and you keg your beer. Can't thank Blichmann enough for this unique spin on fermenting in kegs!! !